Date : year-3 (AD 284). Size : 18.8 x 20.8 mm. Weight : 6.07 grams. Grade : XF/gVF with a dark brown patina. 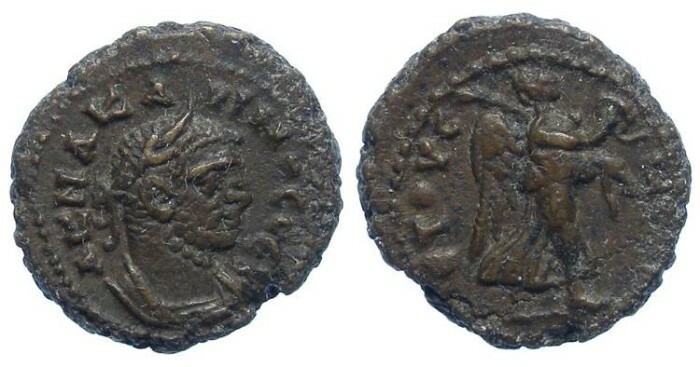 Obverse : Head of Carinus right with AKMAKA RINOCKaround. Reverse : Nike flying (walking) right, holding a wreath and palm, with ETOVC to the left and G to the right.